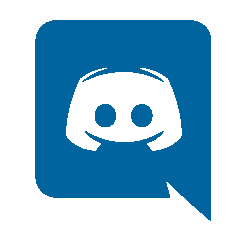 It’s our 15th year exhibiting at San Diego Comic Con and this year marks our 15th Anniversary as well! 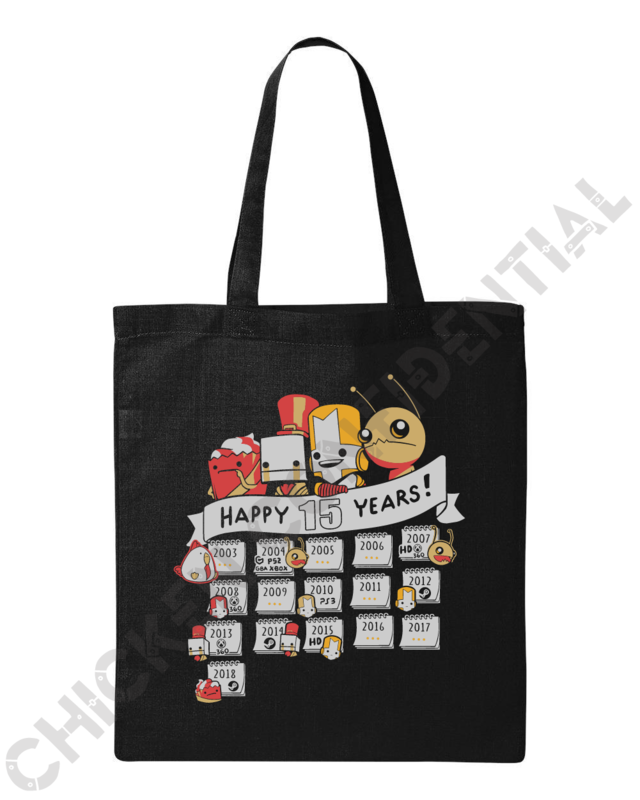 In honor of this momentous occasion, we’ve created a special San Diego Comic Con exclusive: The Behemoth 15 Year Anniversary canvas tote bag. 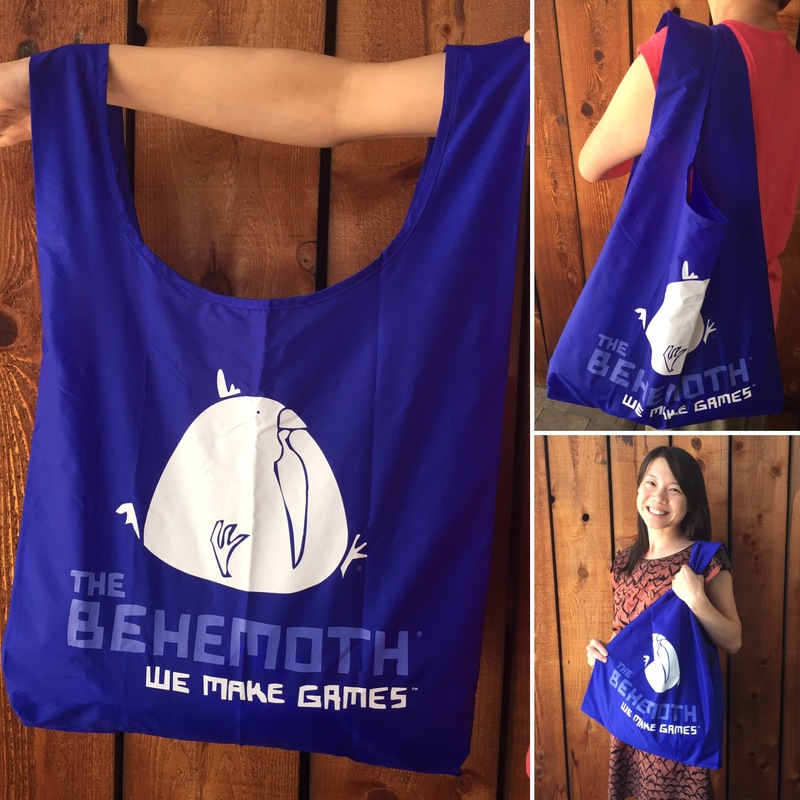 This SDCC exclusive tote bag was designed by our very own Dan Paladin and printed here in good ol’ San Diego. 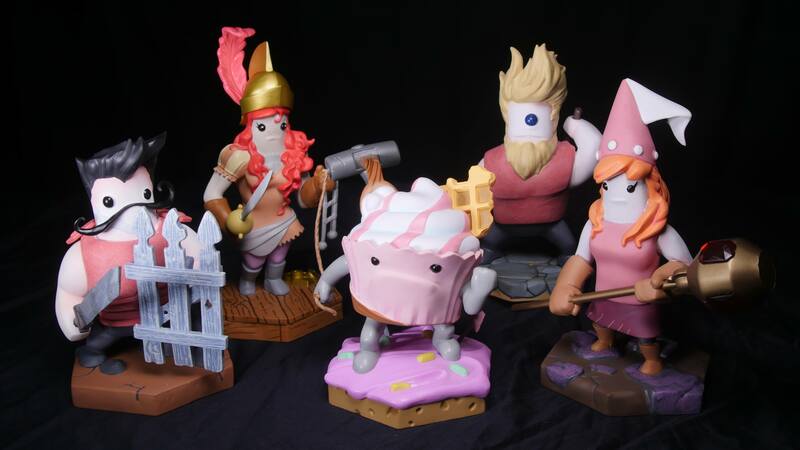 They are $20 each while supplies last, so make sure to get to Booth 329 early! Sizes run from unisex XS to 2XL while supplies last. These items are exclusive to trade shows we attend. 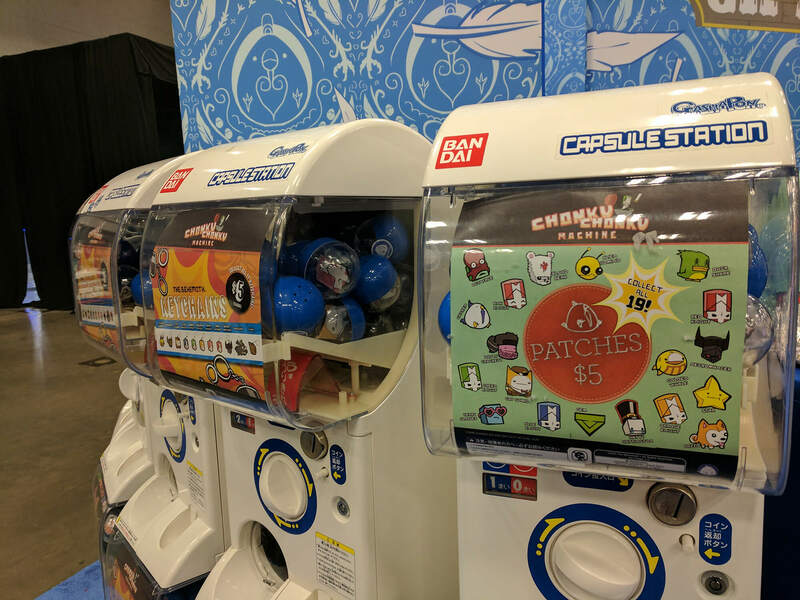 Items are blindboxed in the capsules but you can always try trading with fellow attendees if you don’t get the ones you want. Trading is part of the fun! 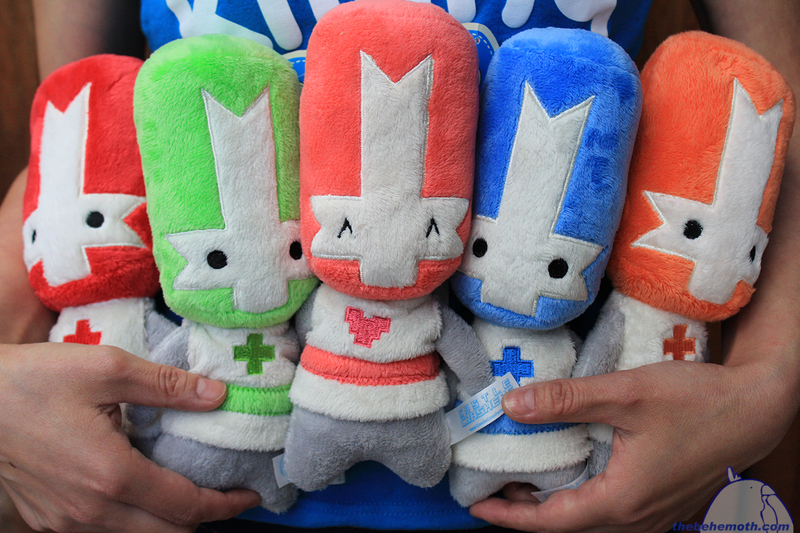 Plush Castle Crashers Knights. Available in Red, Green, Pink, Blue, and Orange. $15 each. Our plushies were designed by Anna the Red and Dan Paladin. They’re super soft & squeezable! Plush Hats. Designs available (from left to right): Duckshark, Raccoon, Bitey Bat. $15 each. So cool that they get their own section! Our list of merch for San Diego Comic Con is subject to change at anytime. We’ll do our best to keep you updated here or on Twitter if there are sold out items during the show!